Last year, when the MLCC announced plans to loosen regulation regarding brewpubs and breweries in Manitoba, the Warwaruk brothers from Luxalune Gastropub were the first people to announce plans on bringing a new brewery to Manitoba. 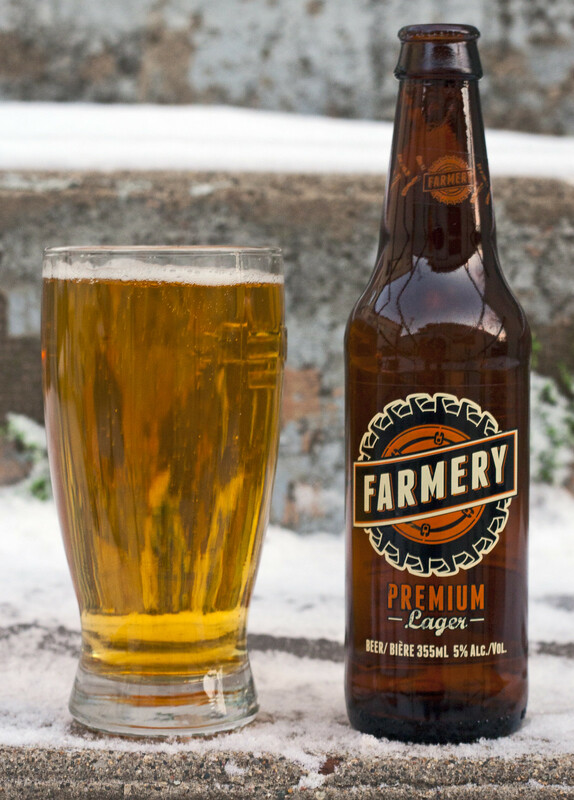 The brewery was to be named The Farmery Estate Brewery, and be one of the first winery-like breweries in Canada, where the brewery would not only brew the beer, but also malt the barley, plant the barley and hops - so from creating a product from the ground to the glass. Lots of excitement immediately took place because hey.. Manitoba is behing on the microbrewery scene. 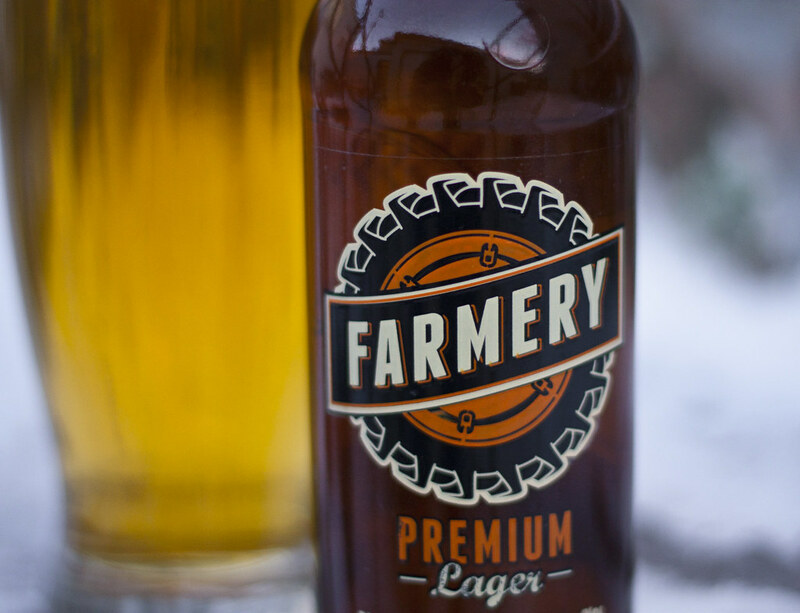 While the Farmery Brewery just outside of Arden, Manitoba (east of Neepawa) hasn't been built yet, they have contracted the beer out to Muskoka Brewery until the brewery is built, to give beer drinkers a sample of what to expect. The beer made its way to the local Liquormarts here in Brandon, MB, so I had to finally try it. 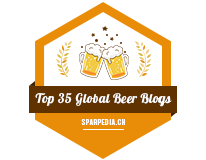 Being a farm boy first (and drinking my share of lager over the years) and beer geek second, I will give a critique from both sides. Appearance: Pours a slightly orange, golden yellow, standard prairie lager or pilsner in appearance, microcarbonation taking place, thin amount of white foam at top. 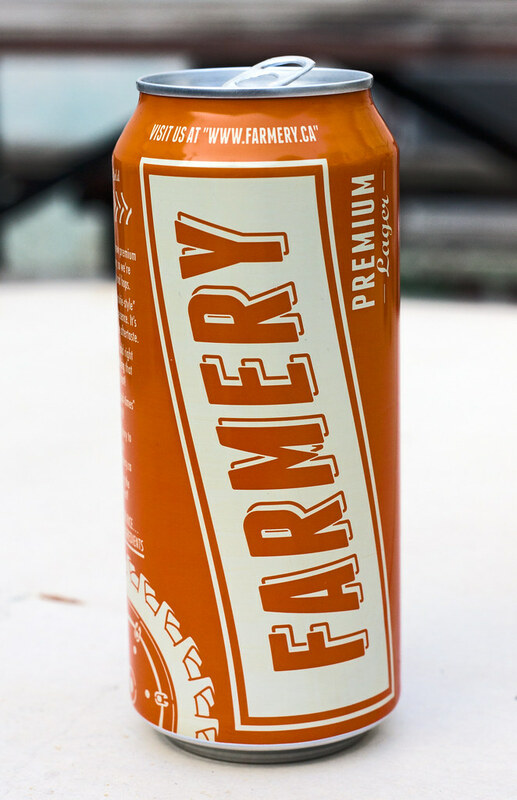 Aroma: Farm boy: Your standard Canadian style lager or pilsner, aroma of grain, a bit sweet malt, not overpowering so it seems like something a farmer would drink after a long day in the fields. Beer Geek: A bit underpowering as a geek, I was hoping for floral hops, less of a Molsonesque maltiness that leaves a bit of a skunkiness to the nose, a little too sweet. 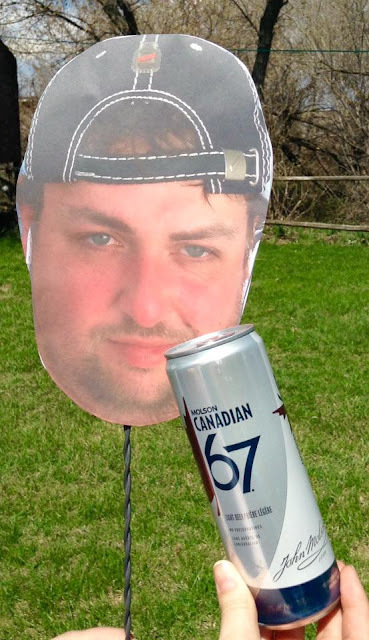 Taste: Farm boy: A bit stronger in maltiness over the standard prairie lager/pilsner like Canadian, Blue, Kokanee - not as smooth because of that, has a strong maltiness compareable to Molson Dry or a Great Western Pilsner. Notes of barley and straw. Beer geek: A bit too light for my tastes for a lager, while it has a strong maltiness in the flavour, and a slightly sweet bubblegum taste hitting palate, I would prefer more of a hoppy, slightly bitter lager and less of the bitter strong maltiness. Honestly, this beer reminds me too much of Honduran beer Port Royal Export, a strawy, malty lager, also - most stronger Caribbean lagers. Overall Thoughts: As a farm boy, it's an easy to drink golden beer, slightly stronger in flavour than my go-to Kokanee. If this was in cans, this would easily be a local staple in camping season. As a beer geek - I was hoping for more, I had dreams of The Farmery making a Saskatoon berry stout (akin to Muskoka's Winter Beard, but with Saskatoon berries instead of Cranberries). They're still very new so I'm sure they will one day come out with beers that geeks will like, but it DOES take getting the general (non beer geek) population on board with your beer first before you can go around experimenting sometimes a la Fort Garry now days. So I hope the best for them. Also, I don't appreciate the word premium anywhere on a beer bottle, if you frequent my blog - you know what my stand is on premium beer, it's just like Special Reserve for Whisky, a marketing tool. The beer is 355mL, 5% ABV and a bit on the pricey side at $2.45/bottle before tax and deposit. This is already being sold at Liquormarts all over Brandon and Winnipeg (and possibly soon in rural areas), and it's already available at a few pubs here in Brandon.